One of just under 2,161 gold coin sets released globally, the 2005 Queen Elizabeth II Gold Proof Sovereign Collection is the first and only coin to feature a brand new, one-of-a-kind Art Deco design. 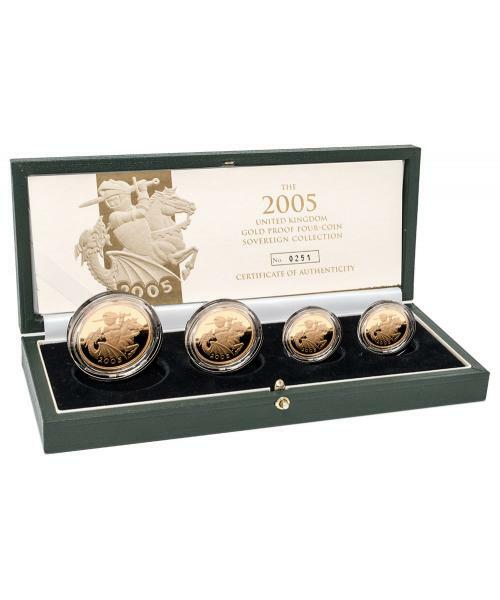 Featuring the fourth and current portrait of Her Majesty the Queen on the obverse and the revised 2005 design of Pistrucci’s George & the Dragon on the reverse, the 2005 Queen Elizabeth II Gold Art-Deco Sovereign collection is a popular choice with many Sovereign collectors and is extremely sought after by our customers. 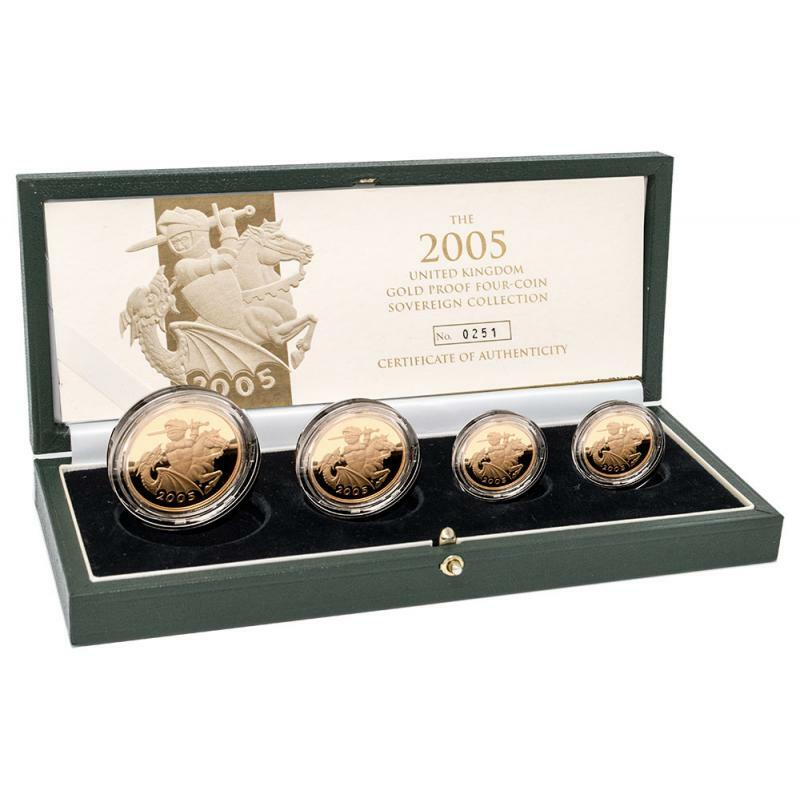 Comprised of the finest 22 carat gold and exempt from Capital Gains Tax, the 2005 Queen Elizabeth Gold Art-Deco Sovereign Collection is an exceptional investment for both coin dealers and private collectors alike.